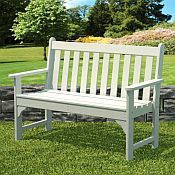 Our Vineyard Garden Bench brings a traditional sense of style to your outdoor living space, while incorporating comfort and design with the contoured seat and comfortable back. This is the perfect combination of a traditional garden look with the benefit of All-Weather performance. Get out of your living room and enjoy family and friends for some summer fun without sacrificing comfort. 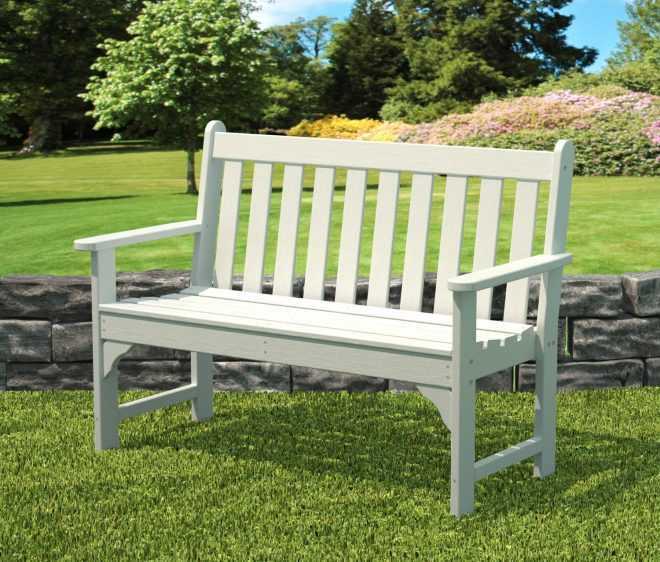 The experienced performance of this collection is sure to add a personalized touch to your outdoor environment. Available in either 48 inch wide or 60 inch wide. Comes in 6 traditional colors.